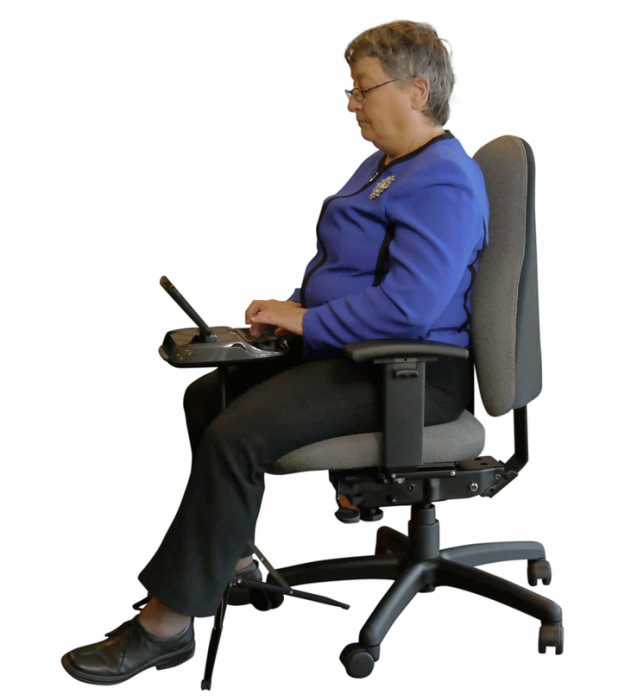 Our court reoporters seat has an exclusive stenographer seat cutout to allow the user to pull the steno machine tripod closer thereby eliminating the need to extend and hold up ones arms all day. It's designed to fit your body and your budget. The flatter seat helps prevent sciatica and with a deeper lumbar support curve the back is especially good for people with average to deeper lumbar curves or wider hips. It has all the important adjustments including independent seat and back height and angle (ratchet for back height) and seat depth as well as a fine-tune variable forward tilt limiter. Court reporters love it. 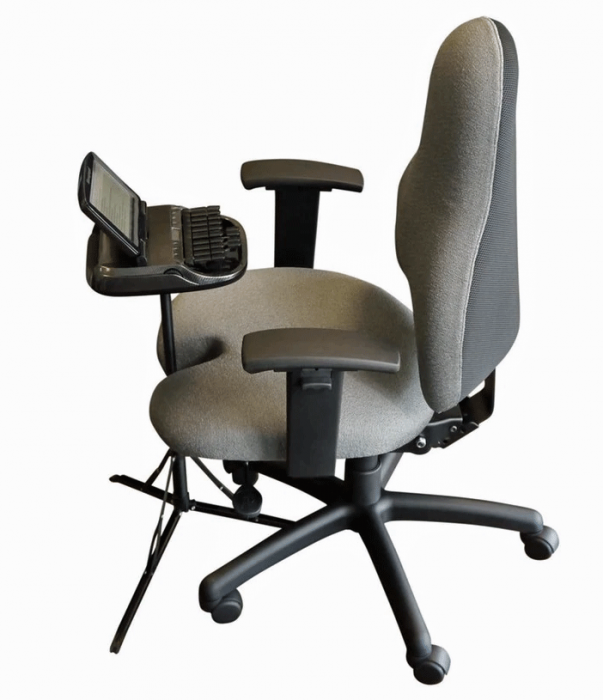 Highback: (25" H x 19" W) - Specifically designed for court reporters from 5-7' to 5'-11"
Executive Highback with Neck Pillow: (32" H x 19.75" W) - Specifically designed for court reporters from 5'11" to 6'-2"
The back is offered in 3 sizes. All will be equipped with back height adjustment (via a ratchet back) and independent back-angle. The sizes include 21", 25" & 32.5". This does not include the additional height with the ratchet back. We offer 4 seat sizes. And all chairs will be equipped with seat depth adjustment. See below. Medium - 5' - 5'6"
Highback - 5'7" - 5'11"
Executive Highback with Neck pillow - 5'11" - 6'2"
The court reporters of the Superior Court of San Bernardino County have a very important role. These stoic individuals must remain still while they type all the courtroom transactions. Often, each reporter must remain in a static position which can last from several minutes to several hours at a time. To perform their job, one types on a steno machine which is attached to a tripod. Regardless of how the individual contorted their body so they can properly type; all areas of the body (including the neck, shoulders, forearms, wrists & backs) became fatigued, and were exposed to postural injury. The employees had to consistently lean towards the steno machine, ALL contact with the back of the chair ceased to exist regardless of the make & model of the chair. More employees were voicing their concerns of discomfort. Typical posture (see woman in the blue jacket) of a court reporter/stenographer/live captioner. Notice how her shoulders are shrugged and she is not utilizing the backrest of the chair. The employees along with the Court Contract Administrator began searching for a solution which was provided by Ergoprise. The Ergoprise Court Reporter Chair is a truly unique chair. The seat is designed with a cut out in the front which allows the users to place the tripod & steno machine at its optimal distance. Now when the individuals type, their back remains 100% supported with the back of the chair. The shape of the backrest is uncommon. 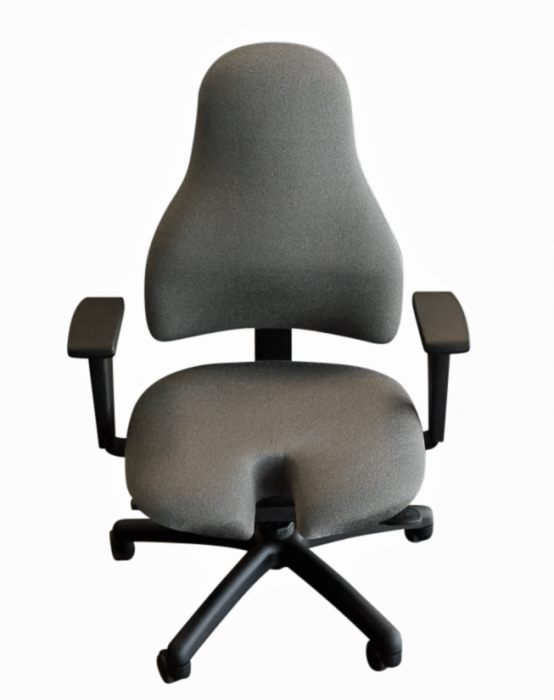 This particular design with the narrow upper back shell encourages a “shoulders back” posture, which is the way the body was naturally designed to sit. 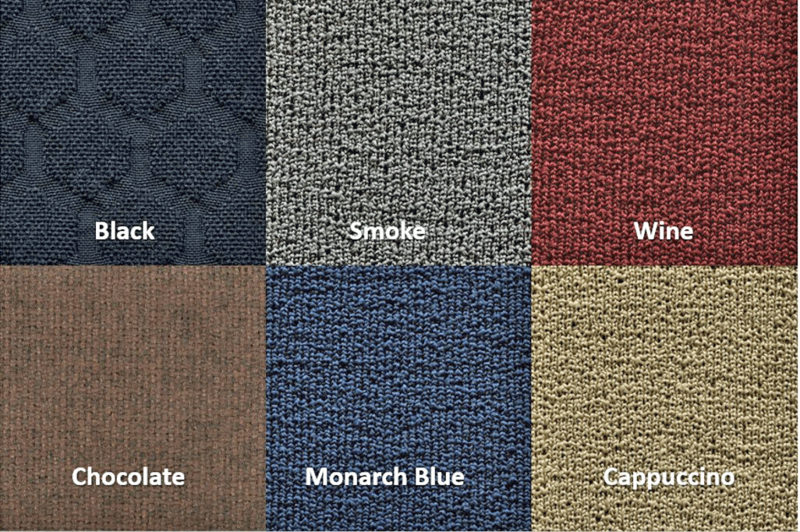 Body-cradling thoracic support is created by adding a special thoracic ridge for optimal comfort. The chair is offered in three back sizes, two arm styles (or armless) and several seat sizes & shapes. One can customize the configuration to meet his/her body shape as opposed to purchasing a “one size fits all” which is what most organizations provide its employees. All 62 court reporters were provided with an Ergoprise Court Reporter Chair. In the follow up to the delivery of the chairs, employees have commented on their improved posture. As well as the decrease in discomfort and increase in energy. Absenteeism has particularly declined while the overall morale has heightened. The employees are very appreciative for having the support from management. 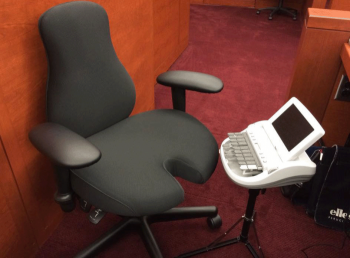 While the chair is named “Court Reporter” it needs be outfitted in other locations says the Court Administrator. All Law firms, deposition services and home offices of live captioners can achieve what we achieved. Ergoprise is a certified, woman-owned, multi-brand provider of high quality office, home, mobile, and industrial ergonomic tools located in Austin, Texas. Through our showroom, website, and consultations (in-person & online) we offer a broad range of ergonomic solutions that provide workers with a comfortable working environment. Our products will deliver an excellent return on investment.